Do you have tours insurance? Yes, we do. We have personal accidents insurance and civil liability insurance, all mandatory by Portuguese law. Which language will be spoken by your staff? Our naturalist leaders are bilingual with standard languages being English and Portuguese. Our birdwatching specialists speak English and know most of the bird names in this language. We do not have an office open to public. All bookings should be made through our website, by filling the pre-booking form or by contacting us by phone or e-mail. Every day we are busy running our tours and trips, seating at an office waiting for the customers to arrive is not an option. Will you still run the tours/trips on a rainy day? If there is heavy rain in the places where we run the tours we will divert the tour to another place or to another day, depending on the weather conditions. Madeira being an island, we can get the “feeling of the 4 seasons” in one day when traveling around, so it may be raining in one side of the island and sunny on another. We always check the weather forecasts and webcams around Madeira to decide whether to run or not the tours/trips. Do you guarantee the species to see? We aim to watch wild species and do our best to find them, though we can not guarantee them. In order to keep the prices competitive we can not refund customers or offer another trip in case we do not see specific/any birds or cetaceans. As an example, on sea trips that we do not see cetaceans we end up covering a distance that is the same between Madeira and Porto Santo (25 nautical miles) as opposite to a trip that we see wildlife. Land Tours: warm and waterproof jumper, hat or cap, walking boots or shoes with a good grip and a bottle of water. Sea Trips: warm and waterproof jumper, hat or cap, sun protection lotion, swimming suit and a bottle of water. Please do not bring walking boots onboard, wear sandals or tennis shoes. If you are going on a Desertas Islands sea trip you should also take sandals and shorts for a wet feet landing when going ashore on an inflatable boat. What do I get to see in Madeira Wind Birds tours? Madeira Wind Birds tours we aim to show you not only the details of Madeira Nature, like trees, flowers, birds, butterflies, dragonflies and some other insects, but also the most amazing sceneries that are usually out of tourist routes. Our staff will be with you all the time and do not take you to "tourist traps". On our sea trips we always look for sea mammals and sometimes if there are many species being seen we may not get enough time to go to the destination of the trip though we always try to approximate it as much as possible. If the trip is to Desertas, we always get there, of course. Does your tours demand much physical effort? Our land tours are designed so that most people can join them. These tours are mainly by car with short and easy walks around the visiting place. The tour that demand a bit more effort is the Laurel Forest tour where the walk is a bit longer and there are some locations where one can feel some vertigo though not dangerous as the path is wide and there is usually a fence next to the path on these parts. The Night Expedition for the Zino's Petrels demand physical effort as it is up and down the mountain, with several steps, for about 25 minutes at 1800 meters of altitude. Are these land tours appropriate for a senior person? Madeira Wind Birds tours are mainly by car and even the ones which have walking are easy and flat walks for about 1 hour. The only land tour we do not advice to senior persons is the Night Expedition tour as the walk is up and down the mountain on a high altitude, though it always depends on the person’s fitness. Note that the oldest customer we had doing the Zino's Night expedition was 86 years old. Regarding sea trips we would like to note that the Desertas Islands cruise takes about 2,5 hours on a sailing vessel on the Atlantic sea to get from Funchal to Desertas and then 2 to 2,5 more hours to get back. So if someone is not used to sail and easily get sea sick we strongly recommend you to join our bird, dolphin & whale watching trip instead of Desertas cruise. Is there a chance for snorkelling on the dolphin swimming trip? Snorkelling is done when swimming with the dolphins and we have some goggles onboard that we can borrow to customers. Do you have to wear a wet suit? Sea water temperature in Madeira is usually between 18ºC in Winter and 24ºC in Summer so there is no need to wear a wet suit and we do not have any to provide to our customers. Can we wear a wet suit to swim with dolphins? Yes you can. You may bring your own wet suit to swim with dolphins as we do not provide it. Is swimming with dolphins in the open sea? Yes, swimming with dolphins is in the open sea and consequently the decision to swim with them will depend not only on the behaviour of the wild dolphins but also on sea conditions. In Madeira depth can easily be between one and two thousand meters just a few miles from the coast. Is it possible to swim with turtles? Swimming with turtles is almost impossible as Madeira it is only a passage on their migration route and if you get to see one whenever you approach them by boat, they will dive deep. How do I get in touch with Madeira Wind Birds? Are all taxes included in price? All tours are subject of VAT at local rate, that is inclusive in the price. All taxes and fees are inclusive in the price. You shouldn't expect any other charges. For normal scheduled tours full refund if cancellation is done 48 hours prior to the starting time of the tour. Full refund if cancelled by Wind Birds due to bad weather or any equipment anomaly, though we will try to postpone the tour to a date with mutual agreement. Between 47 and 15 hours only 80% of the price of the booked tour will be refunded. No refunds for no shows. I am a travel agent/tour operator, will you assist us travelling to Madeira Islands? We will assist you by providing advice, supplying Madeira land tours and sea trips, text contents for brochures and catalogs, photography for website and other media. I am on a Cruise ship calling at Funchal harbour, can I join a tour? Yes, we also adapt our tours for cruise passenger, as long as booked well in advance and subject . Please contact us by email with your arrival and departure times, cruise liner name and the tour you would like to join and we will then get back to you with our availability and suggestions. Do you offer pickup in HPB Madeira for land tours? Yes, we offer free pickup for land tours at Madeira Holiday Property Bond in Cabo Girão, Câmara de Lobos. As well we offer pickup in other locations in Funchal and Caniço. If you are staying at a different location let us know and we will answer you if we can offer pick you up there. 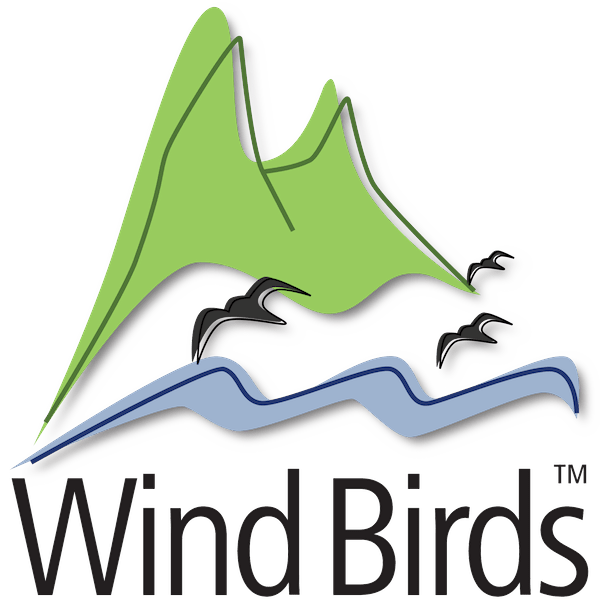 I have a Wind Birds gift certificate, when can I use it? All gift certificates have an expire date of 2 years. If you have a gift certificate with you please let us know when you are coming to Madeira so we can tell you our availabilities. I required a special meal, do you supply it? Yes, we can supply vegetarian meals, though vegan and kosher are not possible. If you have an allergy to a special ingredient we can provide the meals without it. Please request your meals in advance, at least 48 hours prior to the tour start. Does Madeira Wind Birds offer any Madeira VIP or Executive services? Those services are carried out in the two private tours (land and sea). You just have to book and request your needs. What are the Portuguese Laws that regulate your activity? There are two mains laws that specifically regulate our travel business activity DLR 15/2013/M and DLR 30/2008/M.